Let’s learn 7 interesting facts about this all American bullion coin. 1. 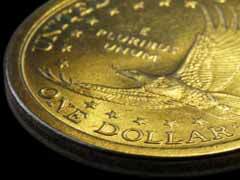 The gold Eagle coin is the only coin type which is guaranteed by the United States government. American Eagle gold coins are guaranteed to have a specific content, weight, purity level, and metal quality involved, and this is backed by the US government.This backing eliminates any questionable factors and allows you to know exactly what you are getting for your money. 2. A Gold Eagle coin has a design which is very similar to double eagle gold coins. Both show Lady Liberty, and include an eagle in the design. They both carry the currency value of the coin, as well as the date minted. 3. Until 1992, all gold Eagle coin purchases had a minting date that was reflected in Roman Numerals. From 1992 on these numbers are stamped using Arabic numerals instead. That year was when the US Mint implemented the number changes and switched from Roman to Arabic numbers for these coins. 4. The Gold Eagle coin has value as legal currency. This is also true with most American Buffalo gold bullion coins as well. Each coin will have a face value, normally from five dollars to fifty dollars, and even if the price of gold drops down to one dollar an ounce these coins are still worth the value minted on them. 5. The Gold eagle was first introduced in 1986, after it was authorized by the Gold Bullion Coin Act of 1985. This act allowed gold coins which have a legal currency value as well as a value for the precious metals included. 6. The United States Gold Eagle coin can only include gold that is sourced from the US, and these coins can not include any metal from foreign sources in the minting process. This is a legal requirement, and cannot be eased for any reasons. 7. The American Eagle gold bullion coin is composed of 22 Karat gold and contains about 10% of copper and silver alloys making them more scratch resistant compared to their 24 karat counterparts. These coins are available in 4 different denominations creating excellent investors’ choice.